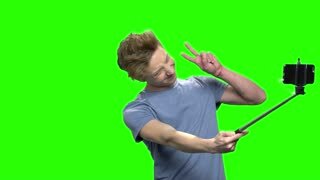 Teenage boy taking selfie picture with mobile phone. Posing for photo. Green screen hromakey background for keying.